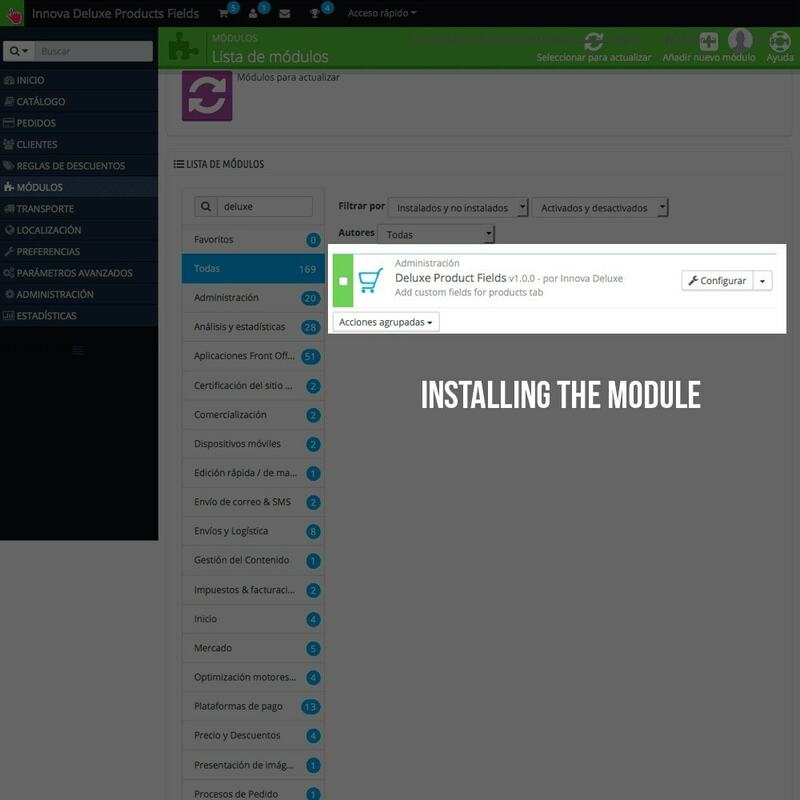 Module to add an extra info tab in your product pages. Each product can be configured with different contents in this new tab. Now you’ll be able to add extra informations if you don’t want to mix it with products descriptions. 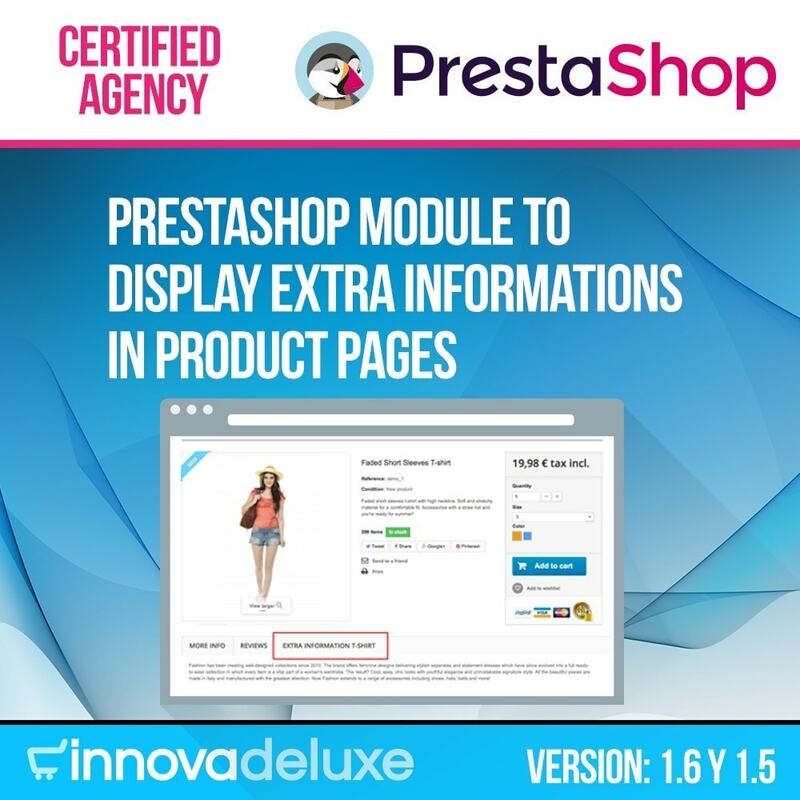 This simple module extends Prestashop functionalities , allowing you to add different extra information for each product. 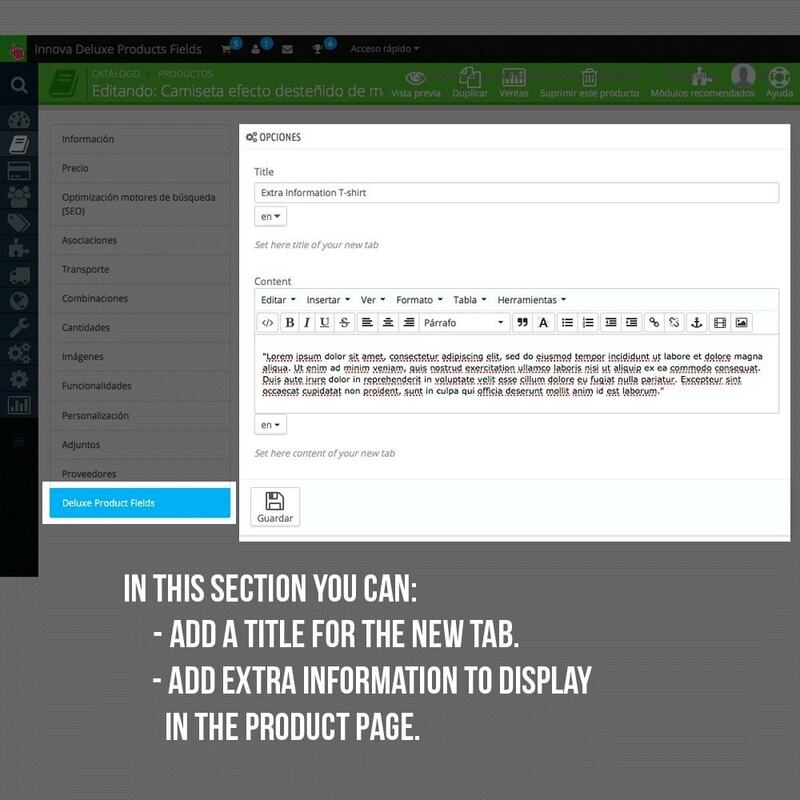 Each product can have a different tab and you’ll be able to add different content in it for each product. 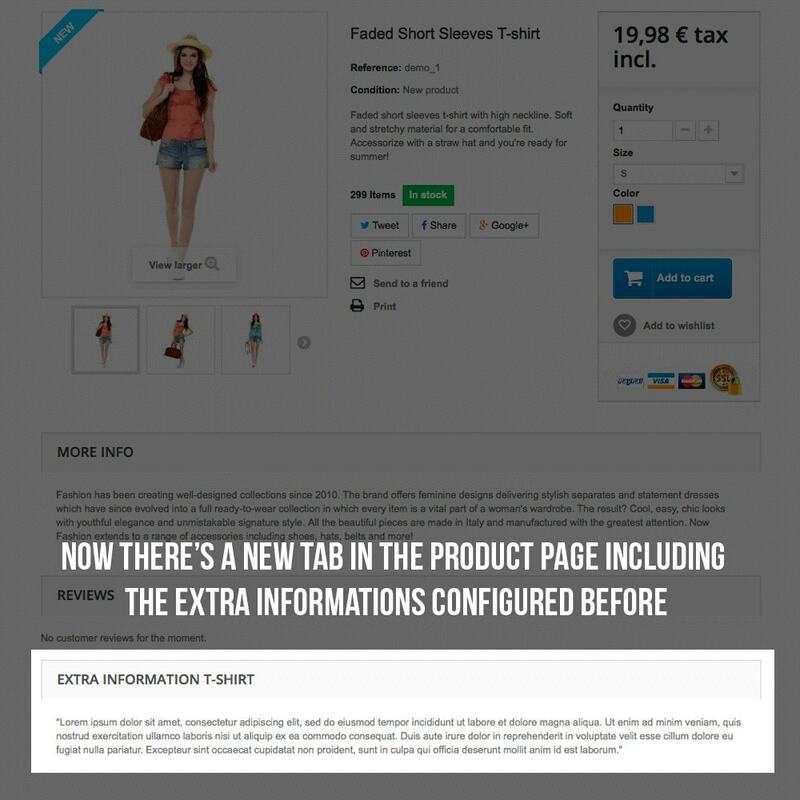 Configuration for this new tab is done from your shop catalogue section. 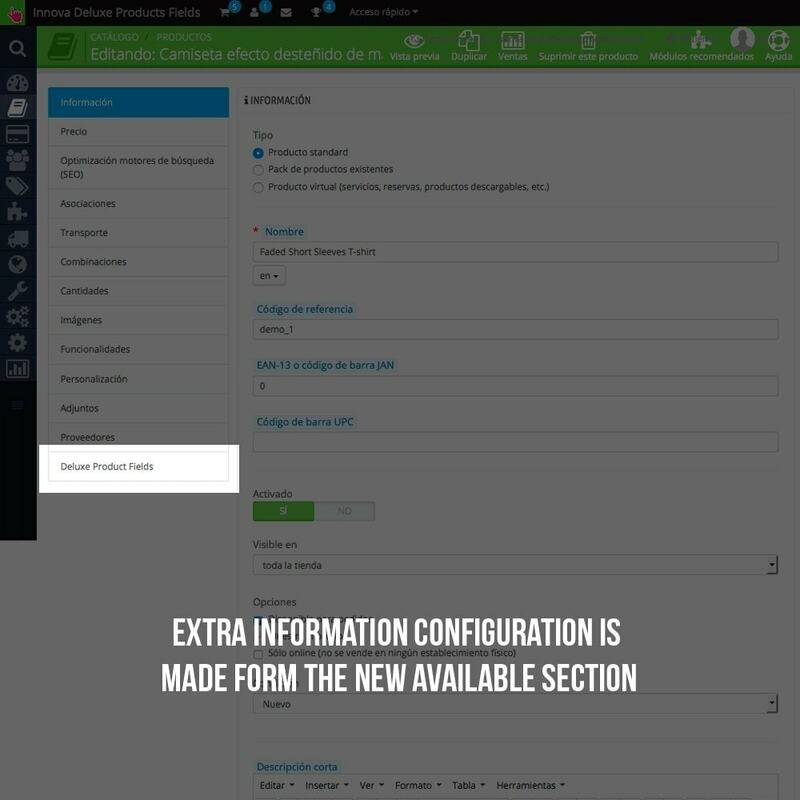 While creating a new product now you’ll have a new section where you’ll be able to add information. 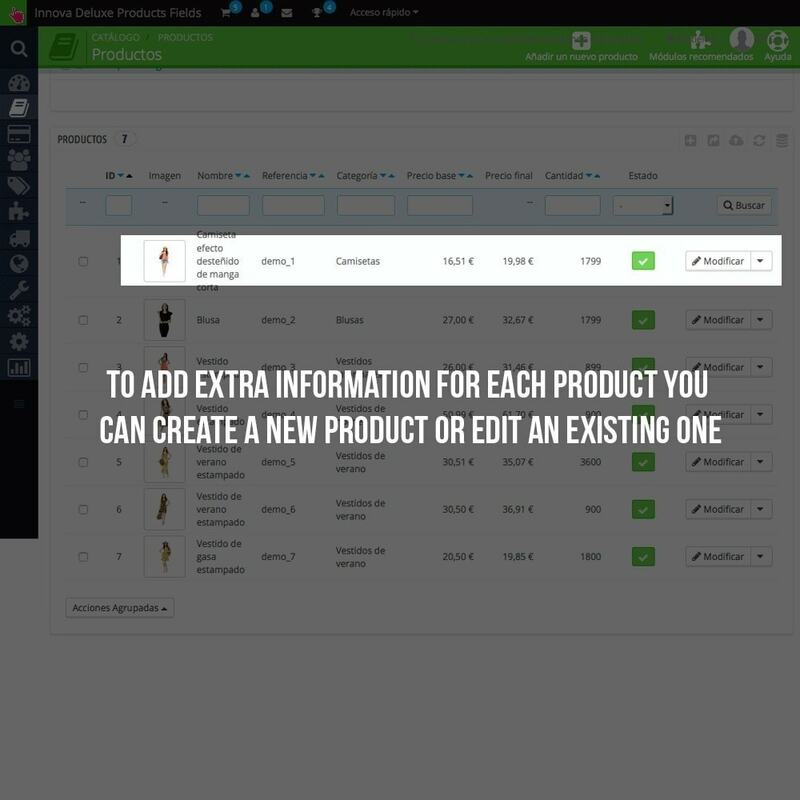 Create a new tab for each product. Add different extra informations for each different product. 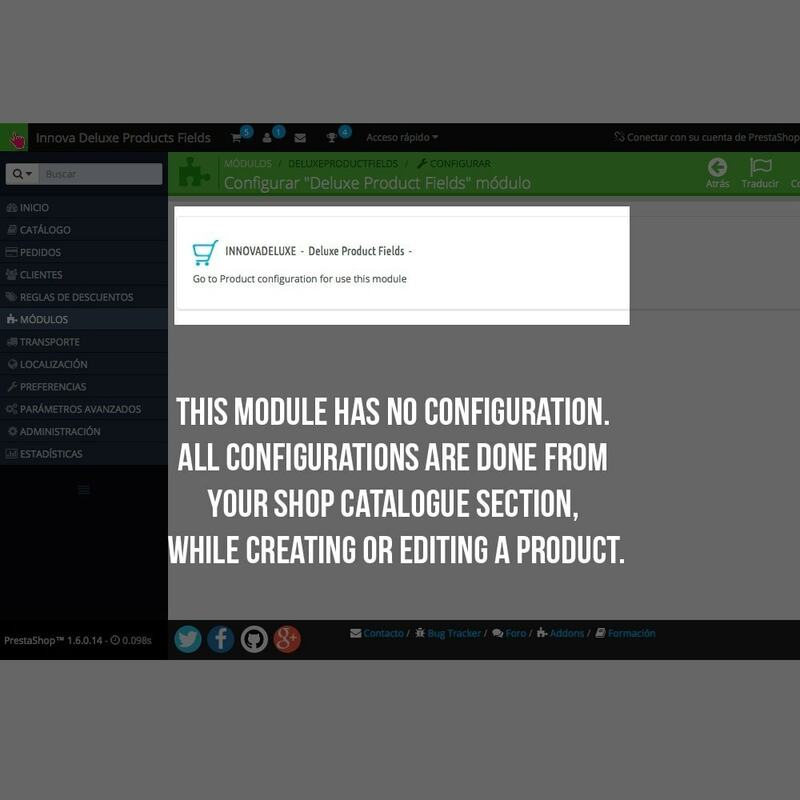 Configure the title of the tab, with different titles for different products of necessary.